Custom merchandise cannot be returned. Allen's Hospital Uniforms Ships via USPS and Fedex. Occasionally, due to unanticipated demand, we may not have your entire order available for immediate shipment. When this occurs, we ship the available portion of your order and backorder the missing items. You will only be charged once for shipping and handling. No C.O.D. Collection of Information: We collect personally identifiable information, like names, addresses, email addresses, etc., when voluntarily submitted by our visitors. The information you provide is used to fulfill your specific request. This information is only used to fulfill your specific request. Commitment to Data Security: Your personally identifiable information is kept secure. Only authorized employees have access to this information. Finding the Items You Want: Use the navigation menus at the top of any page to start shopping any of our online hospitals or departments. You can also search our site by entering a keyword into the search box at the top right of any page. Detailed product information is just a click or two away. Checking Out: From your Shopping Cart, click the "Continue to Checkout" button. If you have an AllensHospitalUniforms.com account, log in, and we'll automatically fill in available shipping and billing information to save time during checkout. If you don't have an AllensHospitalUniforms.com account, you can check out as a guest. Once you have completed your order, we'll ask you if you'd like to create an account to use next time you visit. Proceed through the checkout screens, filling out all required information. The progress indicator at the top of the screen will let you know when you've completed the Shipping Information, Billing Information and Payment Options sections. Checking Out with PayPal: If you'd prefer to pay using your PayPal account, click the "Check out with PayPal" button in your Shopping Cart. 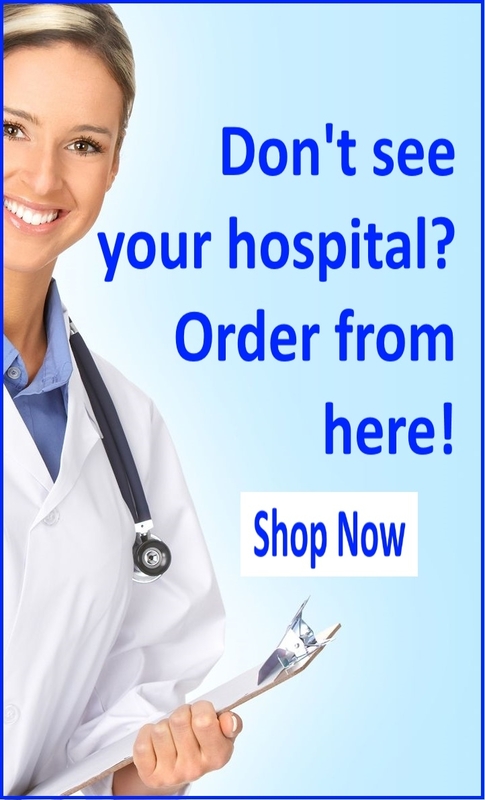 After you log in to PayPal and confirm your shipping and billing details, you will return to AllensHospitalUniforms.com to review before placing your order. Completing Your Order: On the Review and Place Order screen, you'll have one more chance to look over your order. Click "Place Your Order" to submit the order. The last screen will be a Thank You page, which you can print out for your records. We'll send you an order confirmation via email, to be followed by a shipping notification with tracking information. Please feel free to contact us if you have questions or comments about your order. Changes to Your Order: We're sorry, order information cannot be changed once you submit your order. We process orders very quickly, and once an order begins the fulfillment process we may be unable to modify it. We apologize for any inconvenience, and we hope that in the majority of cases our faster processing times work to your advantage. If you have questions about your order, please contact us by phone at 978-534-3111. New Here? Registration is free and easy!